This is Sanghita. She's only 12 years old, but she has been working in this house for three years already. Her jobs, at which she slaves from 6am to 9pm every day, include sweeping, washing clothes and collecting manure. Every year in January, her mother comes to collect her annual wages from her masters. 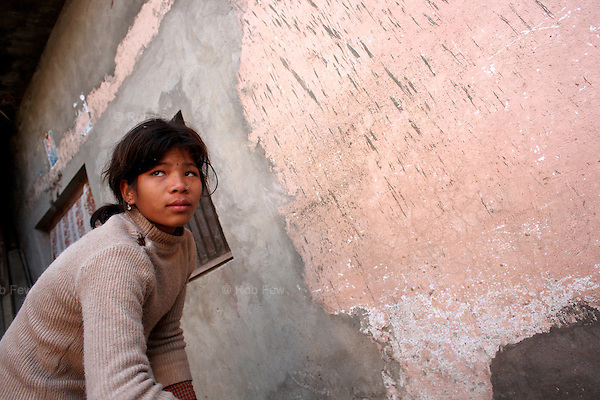 It turns out that 365 days of Sanghita's life are worth US$60, or 16 cents a day. So ingrained is the caste system, that few Nepalese realise that this kind of child slavery is now illegal, but Sanghita's master should know better. He's an ex-parliamentarian.